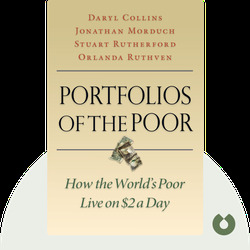 Portfolios of the Poor (2009) details the creative financial strategies that the world’s poorest people use to get by. These blinks explain how people with no educational background whatsoever manage their finances. Daryl Collins is the senior associate at Bankable Frontier Associates in Boston. She was responsible for organizing the latest version of the financial diaries in South Africa and holds both a B.Sc., and an M.Sc in Economics from the London School of Economics. 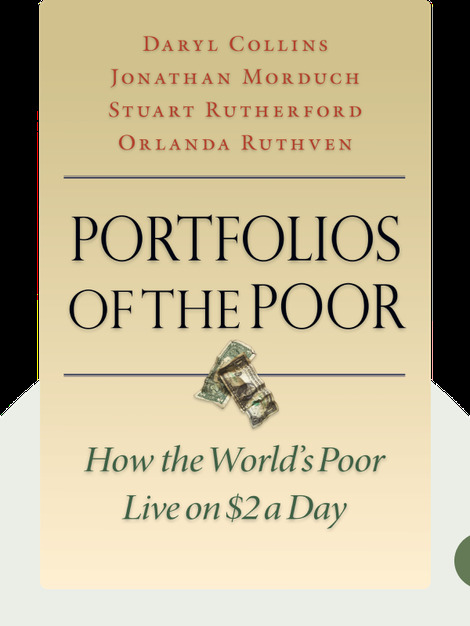 The other three authors, Jonathan Morduch, Stuart Rutherford and Orlanda Ruthven, are all experts in economics with international experience, primarily in microeconomics.